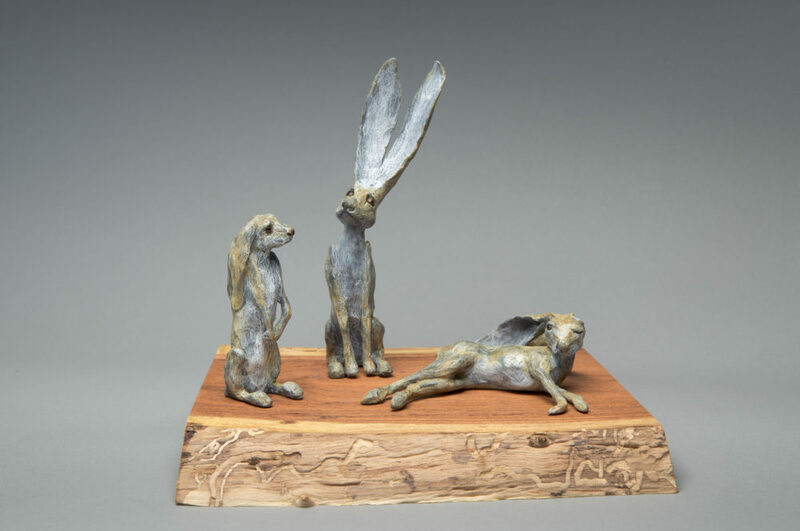 Bronze Hare by William Carrington. Each rabbit approximately 6″ tall. Base size varies. Please contact gallery for more information.